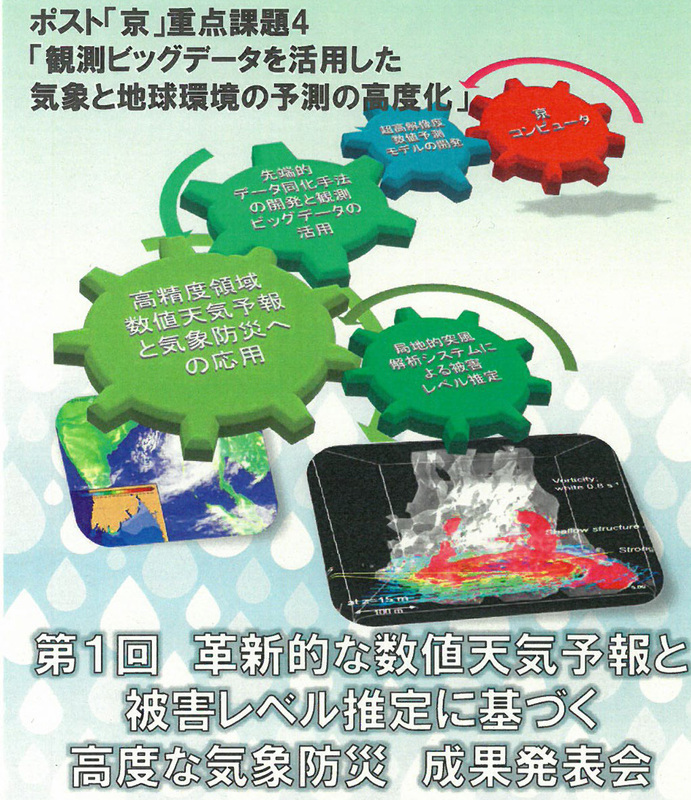 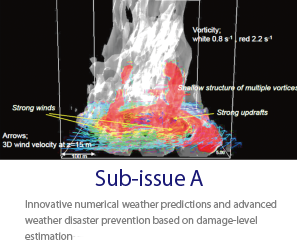 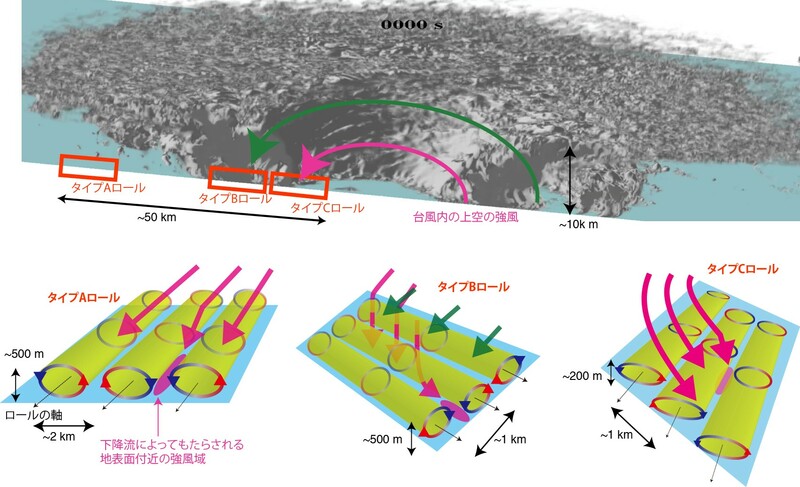 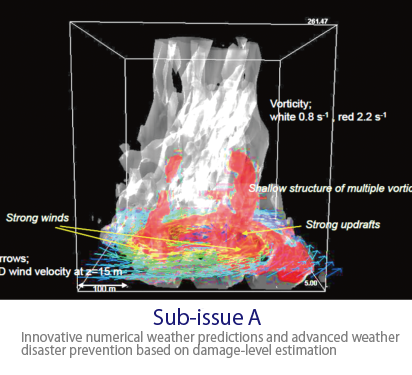 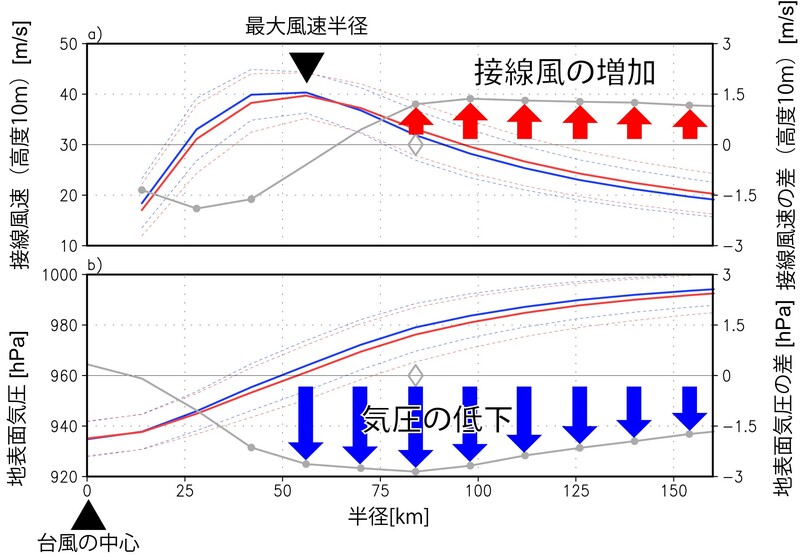 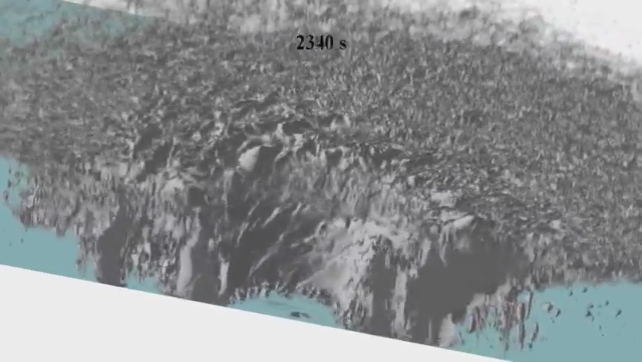 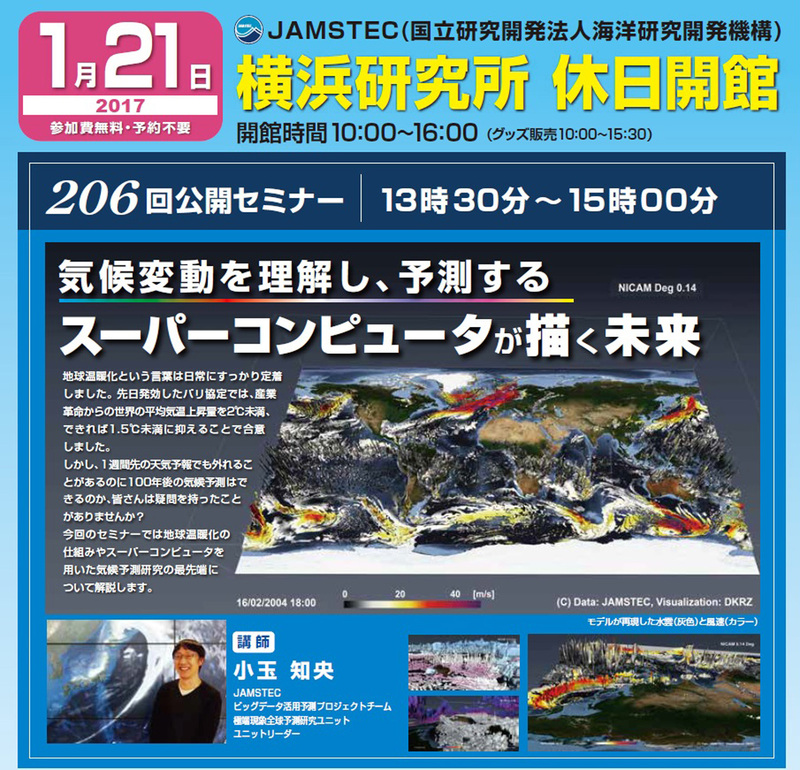 Performed Large Eddy Simulation (LES) which can represent microstructure in a region covering the entire typhoon area by using the Japan Meteorological Agency’s Non-Hydrostatic Model (JMANHM), and created a three-dimensional visualization of a mass of water from a cross-sectional view of the center of the simulated typhoon. 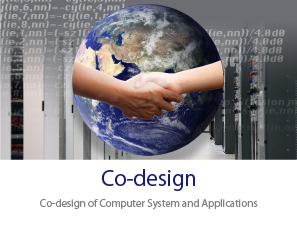 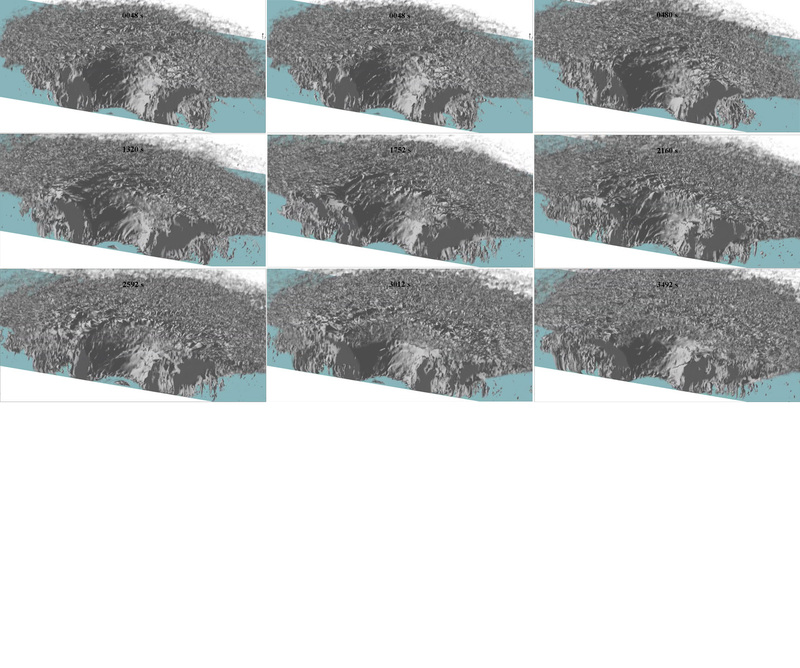 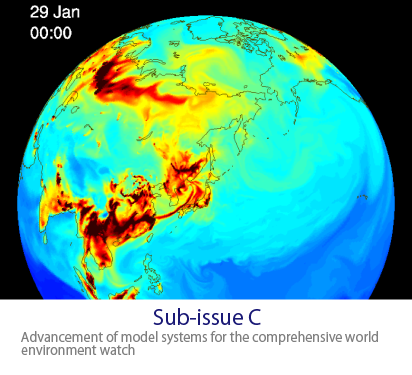 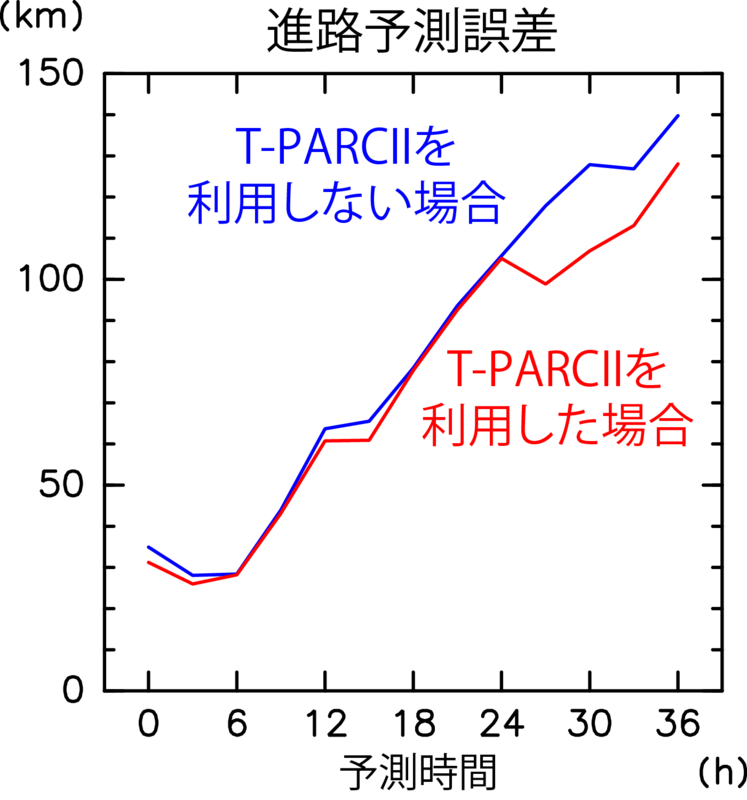 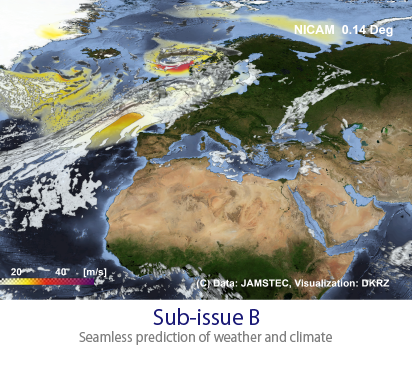 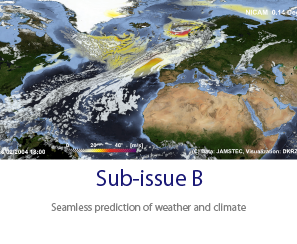 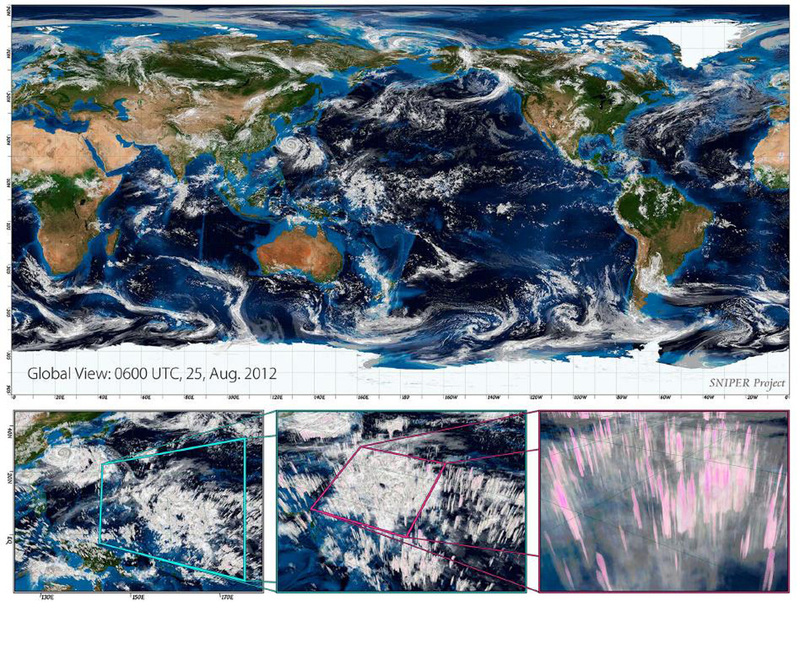 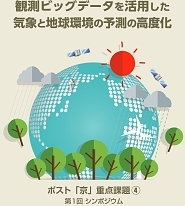 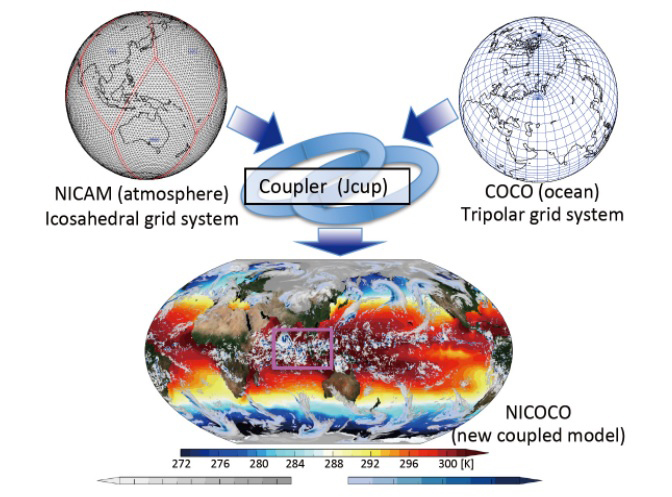 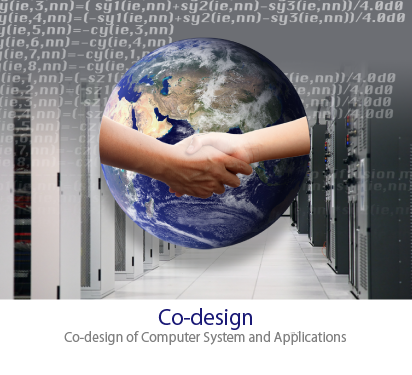 Performed a 30-year long term climate simulation with 14-km horizontal resolution by using NICAM, a global cloud resolving model, on K supercomputer. 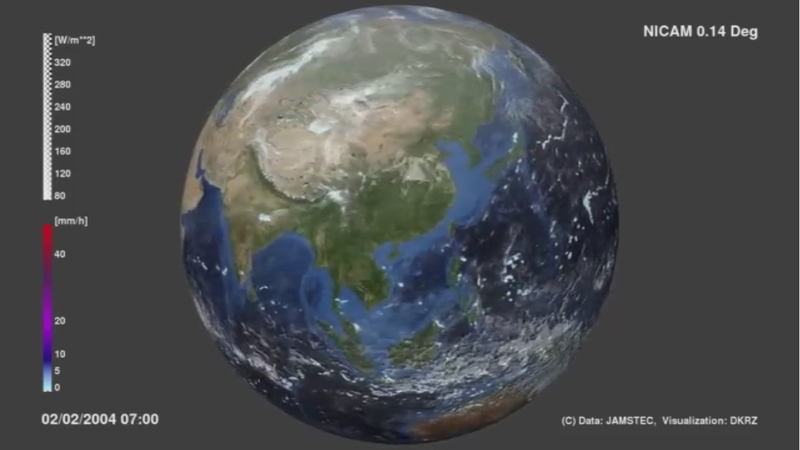 The video shows clouds and rainfall in February. 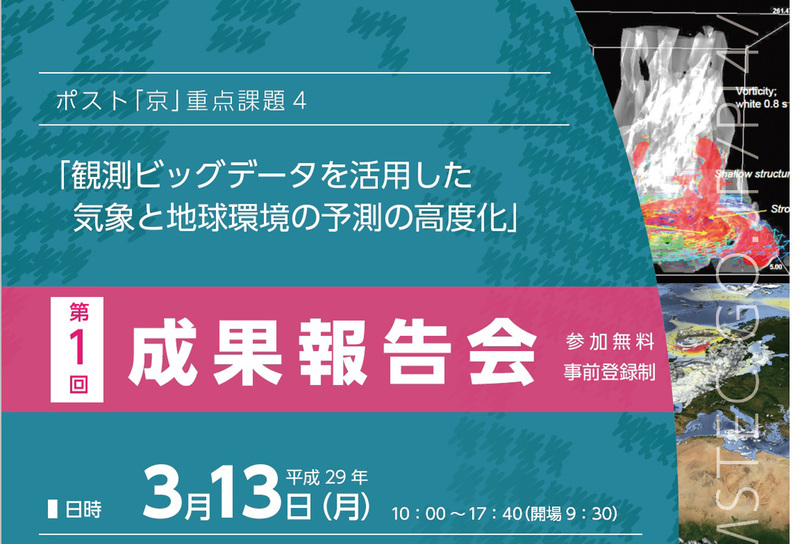 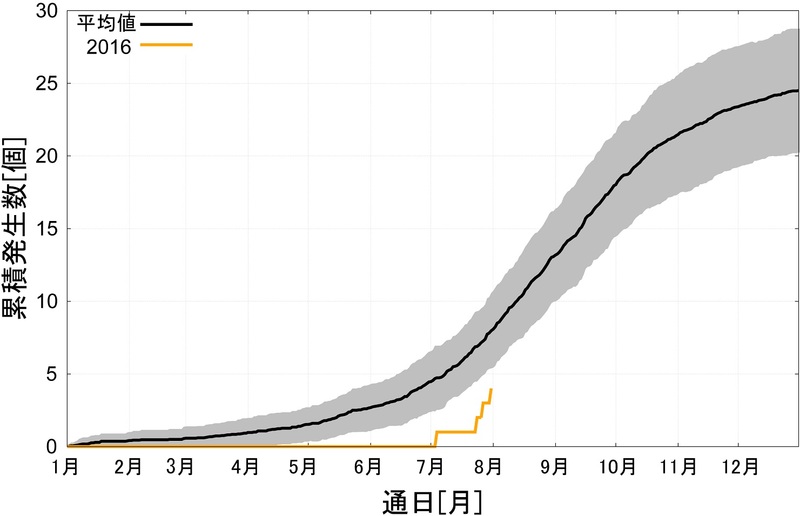 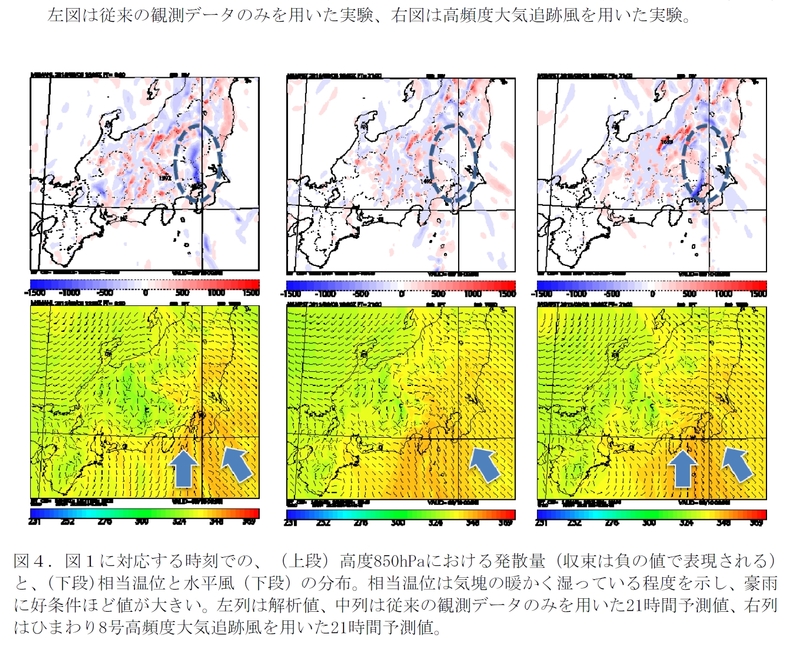 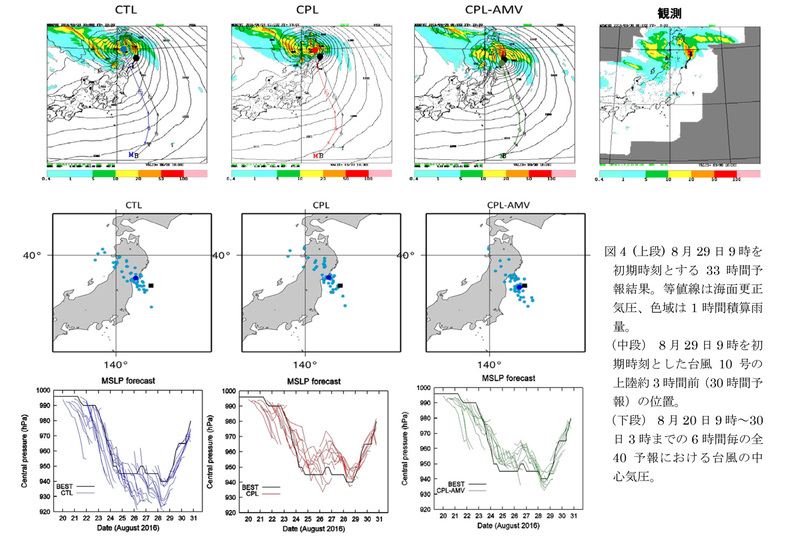 Taking a closer look at Japan, it is well simulated that extratropical cyclones with a front hit Japan at intervals of four to five days and that, after frontal passage, it had been raining (snowing) on the Sea of Japan side in northern Japan. 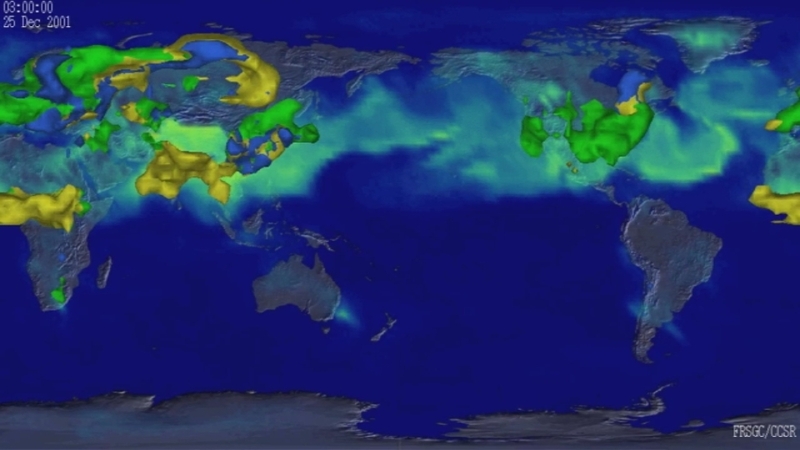 Color of the Earth’s surface shows oxidant level (green: higher level). 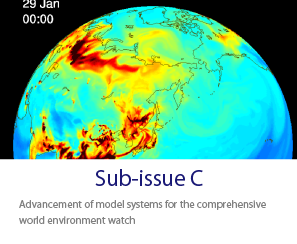 Yellow, green and blue plumes show areas with high concentrations of air pollutants and their precursors (carbon monoxides, sulfate aerosols, and nitrogen oxides are shown by yellow, green and blue, respectively). 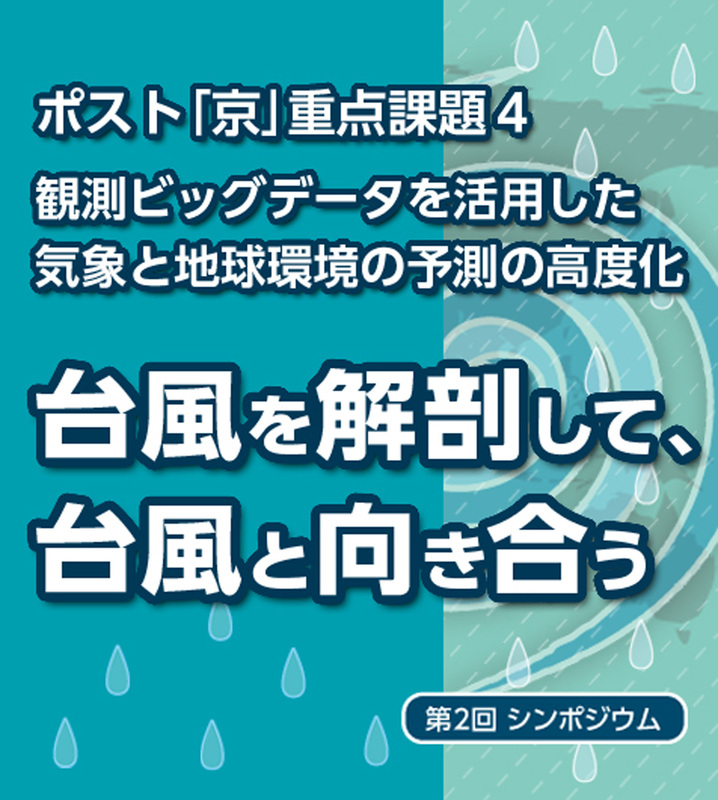 Please refer to our website policies for details.